For proof that students in the spring term course, Photography and the City, taught by Washington and Lee art professor Christa Bowden are hard at work, look no further than their blog, W&L Photography. You will find a selection of the images they have taken since they arrived in the city — and the city in question just happens to be Paris. 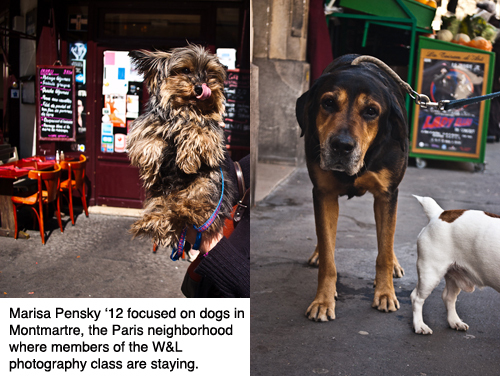 The class is spending the first three weeks in Paris, where they will each undertake a substantial photographic project of their own while also taking field trips to museums, galleries, and other relevant sites. The last week will be devoted to printing the images and curating an exhibition of the work. As members of Washington and Lee’s Class of 2014 begin to prepare to enter the University in the fall, there is a great new website resource available to make that transition as smooth as possible. The New Student Dashboard, created by W&L’s Web team and maintained by Kati Grow in the Division of Student Affairs, maps out an almost day-by-day plan for the transition. Anyone who has been involved with getting ready to take that step (or helping a student get ready for that step) recognizes that the questions can be endless — from to how long the room curtains should be to what restaurants are available near the campus. The dashboard not only provides the questions and answers in a blog form, but there is a live chat option, too. A checklist lets students know what they need to be thinking about from the time they send in their deposit until they arrive in Lexington. Be sure to have a look at the new page even if you or your son or daughter aren’t in the new class. Here’s the link: For New Students. Washington and Lee alumnus Jack Goldsmith of the Class of 1984 has just been elected to the American Academy of Arts and Sciences, one of the nation’s oldest and most prestigious honorary societies. 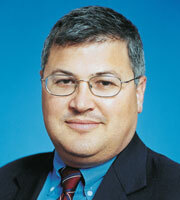 Jack is the Henry L. Shattuck Professor of Law at Harvard University. He was among 229 leaders in the sciences, social sciences, the humanities, the arts, business and public affairs elected this year. This year’s inductees include winners of the Nobel, Pulitzer, and Shaw Prizes; MacArthur and Guggenheim fellows; and Grammy, Tony, and Oscar Award winners. The new class will be inducted at a ceremony on October 9, at the Academy’s headquarters in Cambridge, Massachusetts. AAAS was founded by John Adams, James Bowdoin, John Hancock, and other scholar-patriots and has elected leading “thinkers and doers” from each generation, including George Washington and Benjamin Franklin in the eighteenth century, Daniel Webster and Ralph Waldo Emerson in the nineteenth, and Albert Einstein and Winston Churchill in the twentieth. The current membership includes more than 250 Nobel laureates and more than 60 Pulitzer Prize winners. A philosophy major at W&L, Jack presented the Founders’ Day/ODK speech at W&L in 2009. He is the author of The Terror Presidency: Law and Judgment inside the Bush Administration and many other books and articles related to terrorism, national security, and international law. Before joining Harvard Law, Jack was assistant attorney general, Office of Legal Counsel, and as special counsel to the general counsel to the Department of Defense. 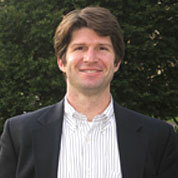 Chad, a chemistry major at W&L, served as 2009 Vice President of External Affairs for CMU’s Graduate Student Assembly. An announcement of Chad’s award on the CMU news blog cited the work he did in arguing on behalf of international graduate student who face visa problems — an argument that he made to the U.S. Congress, where he met with legislators on the issue. Chad was also involved in the fight to keep the city of Pittsburgh from taxing the tuition of all students at city universities, including Carnegie Mellon. 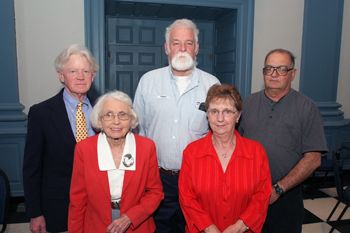 Five of the eight retirees were in attendance at the Recognition Banquet. First row, from left, Kathleen H. Dunlap and Dora B. Coleman; second row, from left, John DeCourcy, Kenneth F. (Digger) Swink and Emory W. Higgins Jr.
Washington and Lee celebrated the careers of seven retiring members of the University staff at the annual Employee Recognition Banquet on Thursday. Altogether, the seven have a combined 253 years of service to W&L. The winner in that category, by quite a distance, is Kathleen H. Dunlap, or Miss Kitty as she has been known to generations. She first joined the University in 1959. During last weekend’s School of Law reunion, returning members of the Class of 1960, back for their 50th, received special recognition during a Saturday morning gathering in the Millhiser Moot Court Room. Once they had been received a commemorative medal and greetings from W&L President Ken Ruscio and Law Dean Rodney Smolla, one of the class members, George Anthou, from Canonsburg, Pa., asked to address the assembly. It seems George had brought a rather unusual bit of memorabilia from his law days with him: a canceled check from the First National Bank of Lexington in the amount of $282.50, made out to Washington and Lee University. 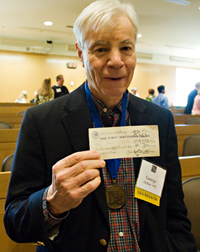 The check, written on Feb. 1, 1960, was his payment for his final semester of tuition, plus the charge for his Davis Hall room. George, who spent 46 years in private practice in his hometown of Canonsburg (the home of both Perry Como and Bobby Vinton), had numerous fascinating stories in his letter to classmates. One, in particular, stands out. He recalls how law professor Charles P. McDowell lectured the students on what their grades would really mean. George quotes Prof. McDowell as telling them: “Don’t worry about what grade may result from your studies because the ‘A’ students become judges, the ‘B’ students work for the state or federal government and the ‘C’ students become trial lawyers and earn all the big fees.” Fees large enough, no doubt, to make that $282.50 in tuition and room fees worth the cost. Denizens of pre-renovation Reid Hall from the mid-1980s can certainly relate to much of the portrait of Mike Allen (Class of 1986) that is painted in the fascinating cover story on Mike and Politico in the New York Times Magazine. You can read that piece online today, and it’s worth every minute you spend. Here is the link. Literally within minutes of the story’s posting on the Times website, about half a dozen people had e-mailed to point it out. Among the many details that ring true in Mark Lebovich’s piece is the description of Mike’s “showing up out of nowhere, around corners, at odd hours, sometimes a few time zones away.” That was true back during his days as editor of the Ring-tum Phi, when Mike would appear suddenly, out of nowhere, in the doorway of the news office. Instead of his now omnipresent BlackBerry, he had a legal pad under his arm and would be chewing on a pen.